or we can take charge and rule our lives from within. that we do not dare. because we do not dare. 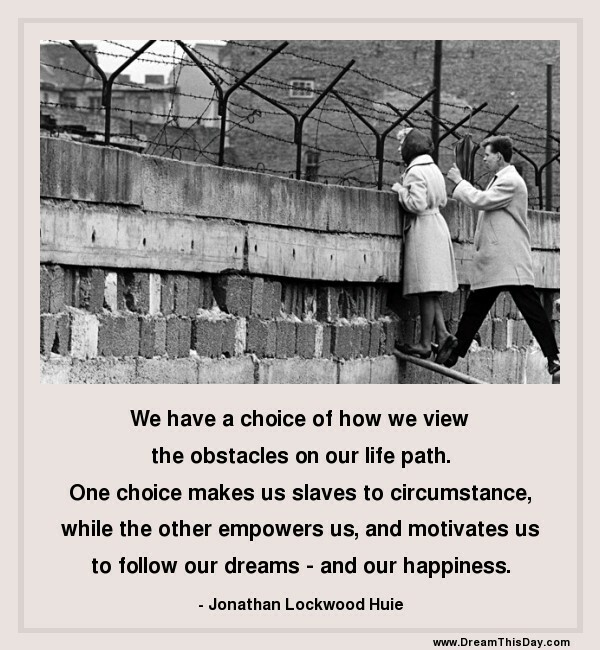 the obstacles on our life path. Photo is of the Berlin Wall in the 1960s. Further reading: Why is This Happening?